Pierateers ahead of the news! What makes a pie a pie?! It's a question that no doubt has caused heated debate up and down the country for many a year. We have our own definition of a pie on Pierate. But this week an epetition calling on making "wrongly describing a casserole with a pastry lid as a pie a criminal offence" hit the news, being reported in the Independent among other sources. However this isn't a new epetition... In fact the Pierateers made you aware of this epetition way back in May of this year! Once again, it appears the Pierateers are ahead of the game when it comes to reporting the pie news to you! @pierateers @cridster @Independent if you want the real news, talk to the people who know their pies! That's the real story here. It was great to see the return of our Gluten Free pie reviewer ALE, who this week rated the Marks and Spencer Gluten Free Mince Pies on those 7 Cs of pie rating! She had this to say: "To summarise, this is a fantastic pie! It doesn't just beat the other mince pies I have scored, it is in fact the best shop brought mince pie I have ever tasted, including gluten ones." High praise indeed! Check out all her gluten free pie reviews here. One Hull of a Pie Shop - and looking to expand! We were delighted to hear that Matt Cunnah - founder of the Hull Pie - has plans to expand his pie making em-pie-re! In an interview with the Hull Daily Mail, Matt was sharing his dream of becoming the "Pie of the Tiger" - supplying Hull City's KC Stadium with half time pies. Maybe he'll one day join our Pieremiership Table as a result! In the meantime, you can enjoy the Hull Pie in one of three shops at present and we would certainly recommend you do! Two of their pies were awarded "Pierate Recommended Status" on a recent visit! Pierateers delighted with support of pie party! The Pierateers held a big 5th birthday bash, and invited 60 of their pie-loving friends along to the event. 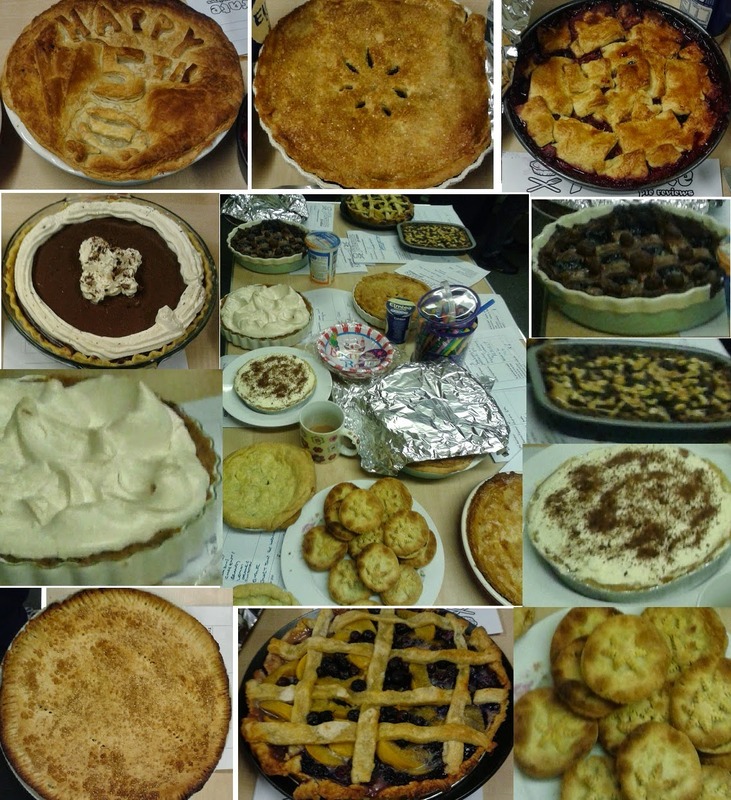 There were pies galore, with catering provided by the London Pie and Mash Company, top pie-rizes from Paul's Pies, and some amazing homemade dessert pies brought in by the pie fans! And we are very grateful to over 400 of you who have read about our party since! You can read more about the pies here.